Two new spring-inspired Outdoor Kitchens, three mischievous Disney topiary characters and an innovative musical play garden will debut during the 23rd Epcot International Flower & Garden Festival March 2-May 30, 2016. 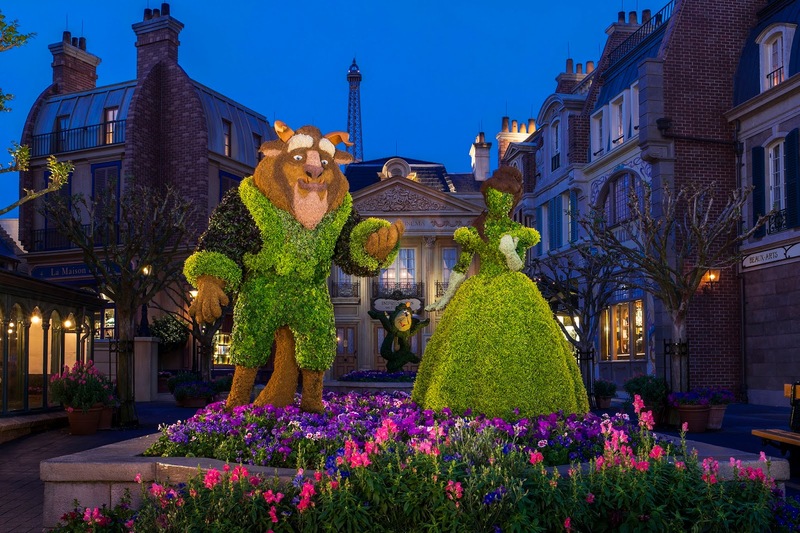 The popular spring festival at Walt Disney World Resort, known for its tasty edibles, sweeping floral displays and dazzling topiary creations, expands from 75 days to 90 days in 2016. The new La Isla Fresca and Cider House Outdoor Kitchens will introduce fresh variety and flavor to the culinary offerings at a record 13 festival kiosks surrounding the World Showcase Promenade. Donald Duck’s mischievous nephews, Huey, Dewey and Louie, make their topiary debut with Donald and Daisy in the park’s signature front-entrance garden. Xylophones, drums and chimes will take child’s play to tuneful levels at the new Harmony Gardens play area featuring “leader-of-the-band” Mickey Mouse topiary. Live Garden Rocks concerts will set the beat with familiar pop tunes each festival weekend. And special “Fun Fresh Weekends” add new adventures to the seasonal event. New culinary creations at the festival’s Outdoor Kitchens will take guests on a Caribbean tour at La Isla Fresca with flavors like Jamaican Braised Beef with Pigeon-Pea Rice and Jerk-Spiced Grouper or Chicken with Mango Salsa. At the new Cider House, a Field Greens salad with greens harvested from The Land pavilion, heirloom apples, Stilton cheese and dried blueberries will pair well with a blueberry hard cider from Plant City, Fla. Dozens of new food and beverage flavors will debut, as well, at the festival’s 11 other Outdoor Kitchens: Urban Farm Eats, Pineapple Promenade, Fleur de Lys, Florida Fresh, Taste of Marrakesh, Hanami, THE SMOKEHOUSE: Barbecue and Brews, Primavera Kitchen, Lotus House, Bauernmarkt and Jardin de Fiestas. 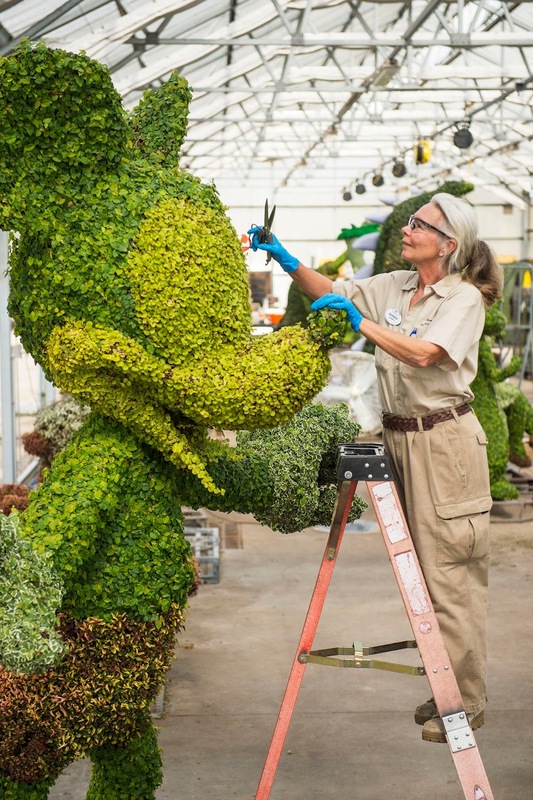 The first-ever Huey, Dewey and Louie topiaries will feature floral interpretations of Donald’s nephews inspired by a 1943 Donald Duck comic book called “The Victory Garden” at the Epcot front-entrance garden display with Donald and Daisy. Fun Fresh Weekends add novel dimension to daily festival fun: April 1-3 — Art in the Garden Weekend spotlights nature through the works of plein air artists; April 8-10 – The new Family Fun Weekend presents outdoor activities for everyone to enjoy and a Festival Center focus on bugs with Disney’s Animal Kingdom specialists; April 22-24 – Earth Day Weekend celebrates our planet with special appearances and activities; and April 29-May 1—Florida Fresh Weekend features the state’s edible bounty from Apalachicola to Zellwood. 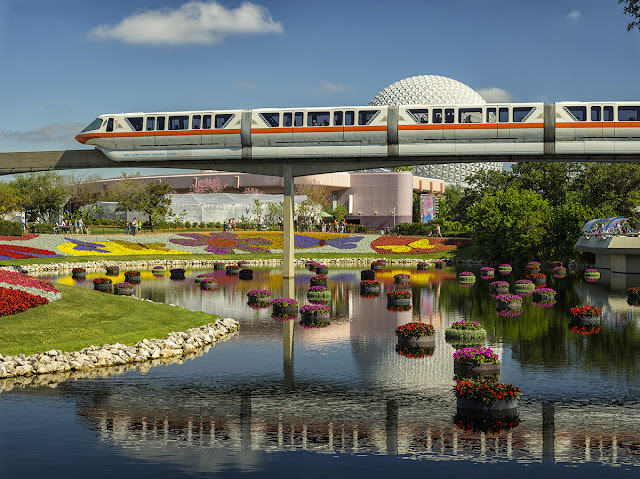 On the south side of Spaceship Earth, Disney gardeners will paint the landscape with a Floral Sun garden and yellow “sunbursts” will sprout in a new Future World topiary garden featuring Minnie Mouse and Pluto. 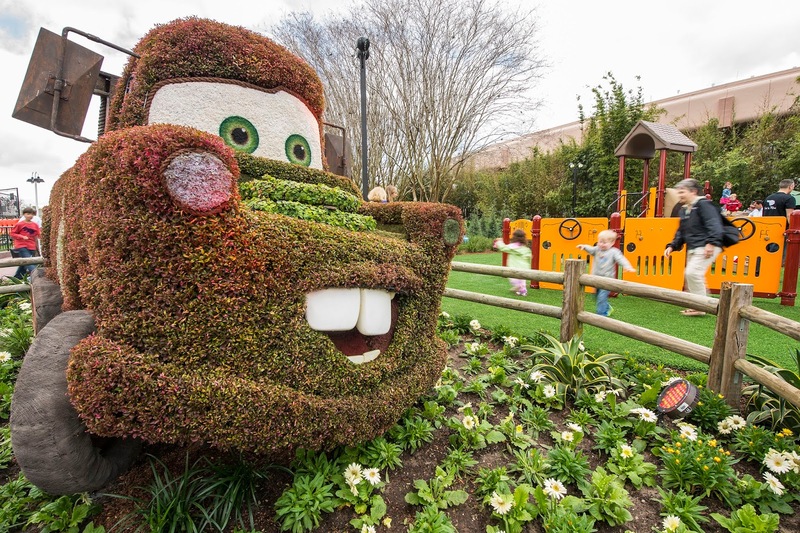 The Ranger Mickey topiary garden in Future World will offer a guest selfie and family photo opportunity featuring a Spaceship Earth backdrop to celebrate the 100th anniversary of the National Parks Service launched in 1916 to conserve the country’s natural scenic treasures. 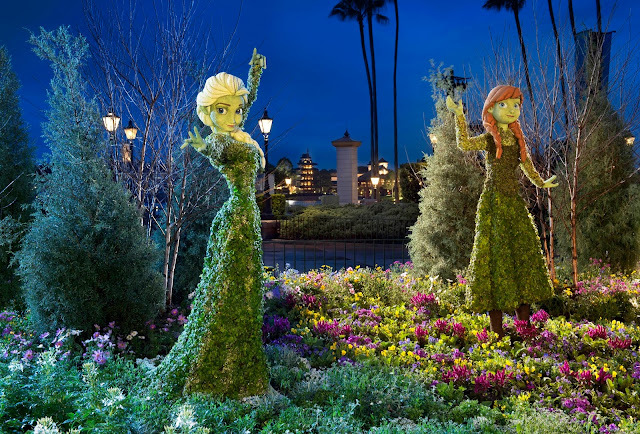 Anna and Elsa topiaries will travel to the Norway pavilion festival landscape following their 2015 debut along World Showcase Plaza in a scene from the blockbuster Oscar-winning animated film, “Frozen.” Nearly 100 topiary characters, including Snow White and the Seven Dwarfs, Lady and the Tramp, Simba and Peter Pan, will animate the Epcot landscape surrounded by themed gardens featuring herbs, peppers, orchids and more. By night, twinkling lights will shine across festival gardens and topiaries. The Garden Rocks concert series will present pop bands with music spanning four decades. This year’s lineup kicks off March 4-6 with The Orchestra starring former members of ELO and will also include new-to-the-festival acts like Bad Company. A new edible flower garden by The Land pavilion will showcase petals with flavor. Each weekend at the Festival Center, guests can dig in for a complimentary hands-on Gardening Seminar experience and create a take-home souvenir or grab a seat to hear tips from experts on a broad range of topics. The center also offers signature festival merchandise, food and beverages. Forty 8-to-9-foot-tall Disney-crafted “flower towers” and sweeping beds of multi-colored blooms will add to the floral splendor of the park’s landscape. At least 70,000 bedding plants will surround the Future World east and west lakes alone; on the water, more than 200 mini-gardens will be set afloat. For more information about the 23rd Epcot International Flower & Garden Festival, call 407/W-DISNEY (934-7639). 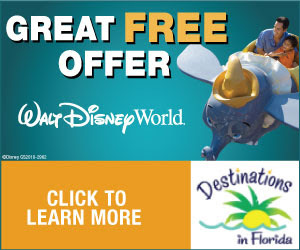 Watch for details at EpcotInSpring.com as they become available. The festival, including all gardening programs and exhibits, is included in regular Epcot admission. All photos are property of the Walt Disney World Company.